The chief economist at the International Monetary Fund (IMF) cautioned Pakistan this week against “excessive loans” from its ally, China, citing risks. Maurice Obstfeld’s warning came as Islamabad is seeking to turn to the IMF for a second bailout program in five years. 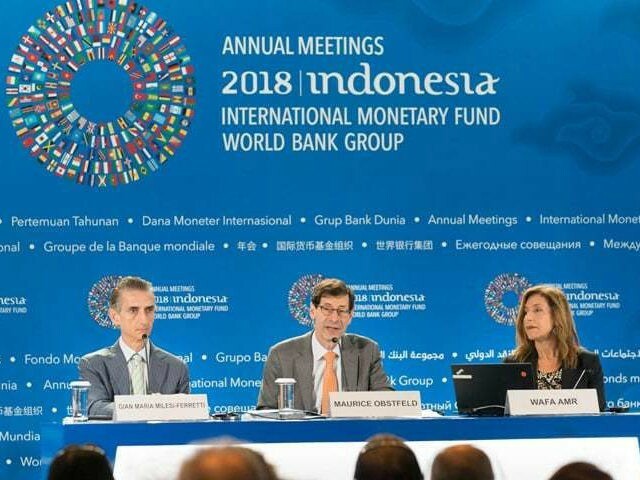 During a news conference at the IMF and World Bank annual meetings in Bali, the IMF official noted that if the international banking body does grant emergency financial assistance to Pakistan, the goal would be reforms that would help Islamabad reach its “immense potential” without providing specific details, Reuters reported. “The government has expressed its desires to enact deep structural reforms that might break the cycle of Pakistan needing financial support from the Fund,” Obstfeld declared. While acknowledging that Pakistan is facing large fiscal and current account deficit, Obstfeld warned that Beijing’s involvement in Islamabad’s economy could bring both benefits and risks. “It is important that the design of the projects … be solid and excessive debts which cannot be repaid are avoided,” the IMF chief economist proclaimed. Austerity measures imposed by Pakistan’s recently elected Prime Minister Imran Khan as an alternative to a second bailout program from the IMF have seemingly failed. Pakistan needs $10 billion from the IMF to remain above water, Firstpost noted. Citing concerns about Pakistan’s debt levels, the Khan administration slashed Beijing’s ambitious multi-billion dollar project — the China-Pakistan Economic Corridor (CPEC) component of the One Belt One Road (OBOR) initiative – by $2 billion. Some economists consider CPEC to be the primary culprit behind Pakistan’s economic problems, Firstpost noted. “The changes are part of Islamabad’s efforts to rethink key Belt and Road Initiative projects in Pakistan, to which China has pledged about $60bn in financing,” Reuters explained. U.S. President Donald Trump’s administration has accused China of “predatory lending” practices through its OBOR project, also known as Belt and Road Initiative (BRI). In July, U.S. Secretary of State Mike Pompeo noted that there was “no rationale” for the IMF to provide Pakistan with a bailout to pay off Chinese loans. The United States is a major IMF shareholder. China has dismissed U.S. criticism, saying OBOR will boost economic growth and create jobs in Pakistan.